Traders often get confused between Nifty options and futures trading. I keep getting calls like Sir I only trade options buy, or I only trade futures, or I only sell options. So why do traders stick to only one way to trade in spite of losing money in most trades? This is because they have formed a habit and they are confused to trade any other derivative. Yes I agree that risk is involved, but there is no need to fear if you have hedged your position. 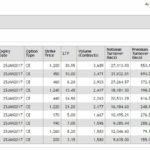 Hedge is buying insurance against the risk involved in your trading. Future buy or sell is at unlimited risk but if you hedge it then it becomes a trade with unlimited profits but limited risk. Hedging is essential for survival of derivative traders, else even 3 cores can go down the drain. I am sure at this point of time you are thinking even I have lost a huge amount. Well the reason is pretty simple – trading without hedge, trading by tips, trading because you think so (speculative trading), trading because your broker said, trading because your friend or relate took a trade etc. Any trade done without hedge or without research will more likely result in a loss. You can do my course and get well researched strategies, learn hedging and get my support to trade these strategies. Once you learn them to trade, you will make a monthly income for the rest of your life without depending on anyone ever. Traders get confused between Futures and Options, they do not know which one to trade. Here I have listed the basic difference between the two. This will help you to take a decision. 1. Whether you choose to trade in Nifty options or futures, your profits/loss will depend on your view. If your strategy was right, you will make money else you will lose money. However if you are absolutely certain about a direction, trading future will bring more profits. 2. As of now the lot size in Nifty futures and options is 75 (updated as on 09-Mar-2018). Note: This lot size can change depending on the valuation of one lot of Nifty. However this does not happen very often. If lot size changes, it will change for both futures and options – and will always remain same for both. 3. Futures move very fast. In fact they move 1 point to 1 point with Nifty. Their DELTA is 1. Options movement is slow and it depends on the strike price of the option. Every strike of option has a different DELTA. OTM (Out of The Money) options move slower than ITM (In The Money) option. You need to learn Option Greeks (Delta, Gamma, Theta, Vega) to understand why their movement varies. In simple terms since options are cheaper to buy why should someone holding an option benefit the same as that of a person holding a share? When a share goes down in value, option prices also goes down in value but not 1 to 1. Therefore options are very valuable tool if you know the risk you are willing to take and play the game. But as written above, since futures move 1:1 with the underlying, when your view is correct they will bring more profits. However if your view was wrong (which happens more) futures will incur losses in the same scale. Therefore if you are not very sure of the direction of the movement you should trade in options. 4. Buying or selling futures involves unlimited risk as if the underlying moves in the opposite direction, you can suffer unlimited losses. Buying options is a limited risk. The premium you pay is the risk you have taken in option. However selling (shorting) options involve unlimited risk. To take an example if you had sold a 10500 call option when Nifty was hovering around 10400 for Rs.50 per lot and if Nifty closed the series at 10600 you will lose 10600-10500 = 100-50 = 50*75 = Rs.3750.00 per lot. If you sell an option and it is losing more than the margin usually blocked for selling an option you may get a margin call from your broker. Note that selling a future at the same level could have been even worse as you do not get any premium when you sell a future. So the loss selling future in the same trade as above is: 10400-10600 = -200 * 75 = Rs.15,000/- per lot. Imagine the losses had you sold 5 lots or more. 5. If your trading strategies are right (means if you have the capability of managing risks), I would suggest you should trade in options. They give you more leverage and many strike prices to choose from depending on your capital and risk taking capabilities. You can start trading in Nifty options with as little as Rs.500.00 in your account. Yes it will be very difficult to make it profitable with so little cash, but its technically possible. With futures you at-least need 60,000 cash in your trading account. However with 500 you may be only able to buy option, not sell it. 6. If you are absolutely sure about a move up or down, then futures are a better option as they move 1:1 and you will realize more profits in less time. But in the stock markets anything can happen. Remember if you start predicting the markets, it will punish you sooner than later. So, even if you are 100% sure about a move you must hedge your futures with options. You must also have an exit strategy in place if your losses comes to a level where you are uncomfortable. For example if Nifty is at 10300 and you are bullish, you can buy 1 future and keep a strict stop loss and profit taking points. Your profit points should be DOUBLE than the loss points so that if you are right even 50% of the times you will end up making money. But overnight gap up and down will be a problem so you must hedge the future trade properly. Sometimes when you take a stop loss you will see that the future trade reversed after you to the stop loss. How many times it has happened to you? This is a BIG problem for future traders. 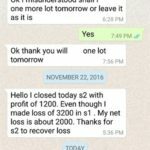 In my course you will learn how to hedge futures in such a way that even if you make a loss in future trade, you may end up in profits. Exact opposite should be done if your view is bearish on Nifty. Means if you think Nifty/stock will go down you can sell future of Nifty/stock. 7. As far as liquidity is concerned, both are highly liquid in Nifty. But in stocks there are liquidity problems in some strikes in options. Futures are slightly more liquid in both Nifty and India stocks. Near month are the most liquid in both futures and options. Mid month and far month are also liquid enough to trade in Nifty but in stocks next month liquidity is a problem. Near month is the current month say if May, mid month is next month – June, and far month is next-to-next month – July. Some traders who have lost money buying options turn into selling options then get over smart and keep selling options both calls and puts and keep shifting them as per the Delta change in the options due to movement in Nifty or stock. They call it Delta Neutral Trade. This is a very bad trade and makes your broker rich. Shifting positions is nether a hedge nor will make any money for the trader. Delta Neutral Trade Selling Options is algorithmic and automated in the developed nations, still it does not fetch great returns for the traders. Read how algorithms trading on financial markets are too often poorly designed and monitored, leaving traders and markets open to mistakes, disruptive trading and market abuse. Delta neutral is a very complicated topic which is out of scope of this article. However the above is mostly done by Indian trades also though manually. Conclusion: Experience traders trade in both future and options depending on the situation and their viewpoint. They also use these derivatives to hedge their positions. Futures and Options offer great tools to hedge risk. These are all complex strategies. You can learn a lot of these strategies in my course. Really happy to have bumped into your site here. You have put together some very interesting info, especially for first-timers. Just one small query regarding the strategy for Buying Future and an ATM Put. I did the pay-off table and it is quite similar to a Bull Call Spread. Considering the margins required for Futures, it may be an expensive trade compared to simply buying call with or without any protection. Am I missing something here? Thanks and do keep up the good work!! Buying or Selling one lot of Nifty Future and selling or shorting one lot of Nifty option will require Rs. 14,000/- approx margin at today’s lot size of 25. A Bull Call debit spread will require slightly less because NSE (though unlike the US stock exchanges where they consider a spread to be a single trade and block margin for the max loss only), to some extent understands (NOT recognizes) a spread and reduces the margin required, when an option buy and an option sell of either call or put is complete. Though the difference may be max 1000 or so rupees. If you anticipate a fast and long move up, buy a Future and buy a ATM/OTM Put depending on your view. If you are not sure, you think Nifty may move up but slowly, then a bull call debit spread is the one to trade. Do not care for the margin blocked when you are trading, care for the profit or losses that you can take out from the trade within a time-frame. What is the point in going for a trade which requires less margin but is more risky? Go for the trade where you are comfortable, rest will take care of themselves. Thanks for your prompt reply. I understood your point. Actually, I too am not worried about margins. My only point was instead of Buying a Future and Buying a Put, won’t be simple to just buy an ATM Call. Pay-offs are similar – risks are fixed and almost the same. Buying Future and Buying Put is just a synthetic long call. Hope I’ve not got it wrong. Thanks. To a conservative trader like me, buying an option is much better than buying/selling Futures. What is the problem in buying a call and selling another? U brought out very clearly the difference between Futures & Options. Traders with less capital must start trading Options with a suitable hedge. They must imbibe the habits of learning & earning, getting rich slowly but surely. ‘ ..to some extent understands (NOT recognizes) a spread and reduces the margin required, … ‘.